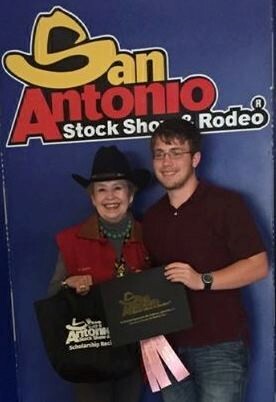 Shelby V earned 4th place high individual honors and a $10,000 scholarship during the San Antonio Livestock Exposition Consumer Decision Making competition held Saturday, February 20. Over 350 youth from across the state utilized this contest as an opportunity to practice and apply knowledge and skills gained in the Consumer Education Project and to compare personal decisions with the decisions of a panel of judges who are knowledgeable about today’s marketplace and its various goods and services. Congratulations Shelby!